The Buck Rogers space ship is in your hands! Step into the command seat of the Buck Rogers fighter for a true space adventure! Follow Buck's journey as you set out for the Planet of Zoom. An alien intelligence has taken control of the area. You must get there before the alien force devastates the planet. Buck's problems are now your problems: Fleets of alien spacecraft keep you from getting to the planet quickly and	safely! 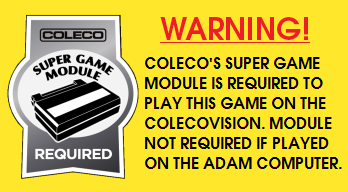 Brave all dangers in this cartridge conversion of the original pack-in game of the Coleco Adam computer! 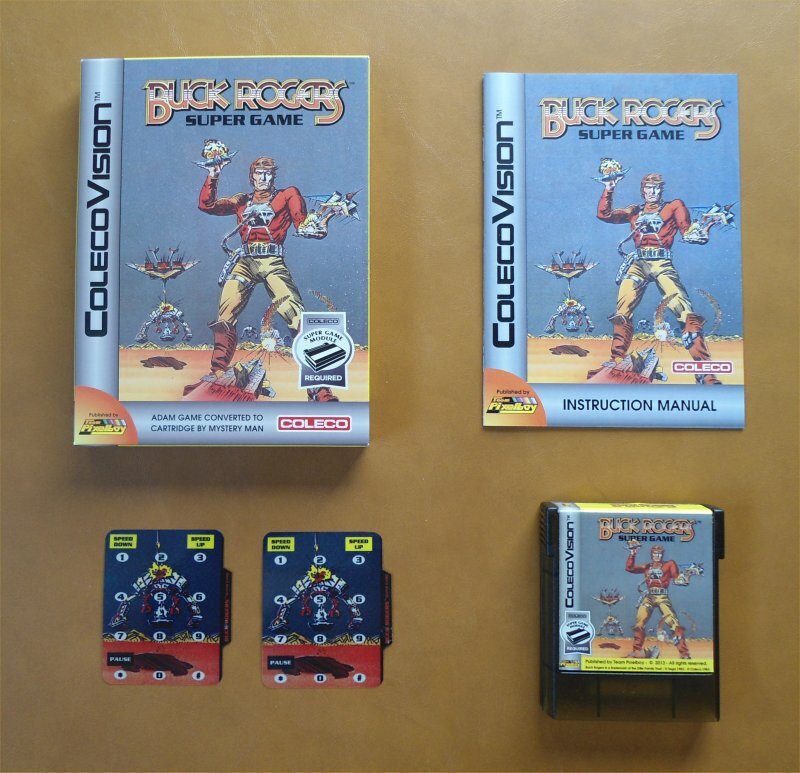 While he was converting the game to MegaCart cartridge format, I asked Mystery Man to alter the controls to match the ones from the Buck Rogers arcade game: With the cartridge edition, players are now able to fire lasers with both fire buttons, and alter the speed of the game via the keypad. 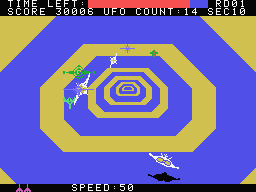 But for the purists who want to revisit the game as originally designed on the ADAM, the option to play using the original control scheme is still available. 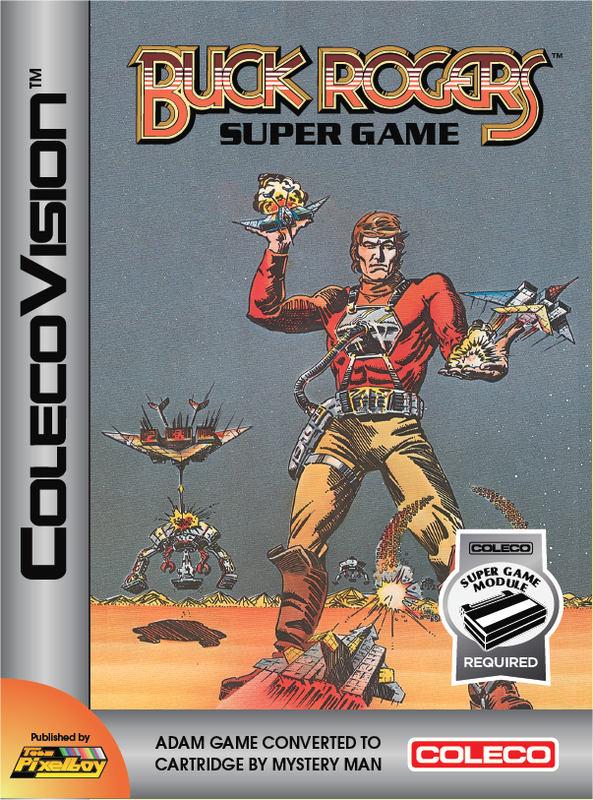 Here is a YouTube video of the ADAM version of Buck Rogers Super Game. The cartridge edition looks, sounds and plays the same as what you see below. 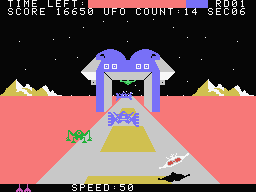 Planet of Zoom - © 1982 Sega Enterprises Inc.